Illnesses arising from poorly stored or cooked food frequently make headlines worldwide, despite repeated calls for higher sanitation standards. 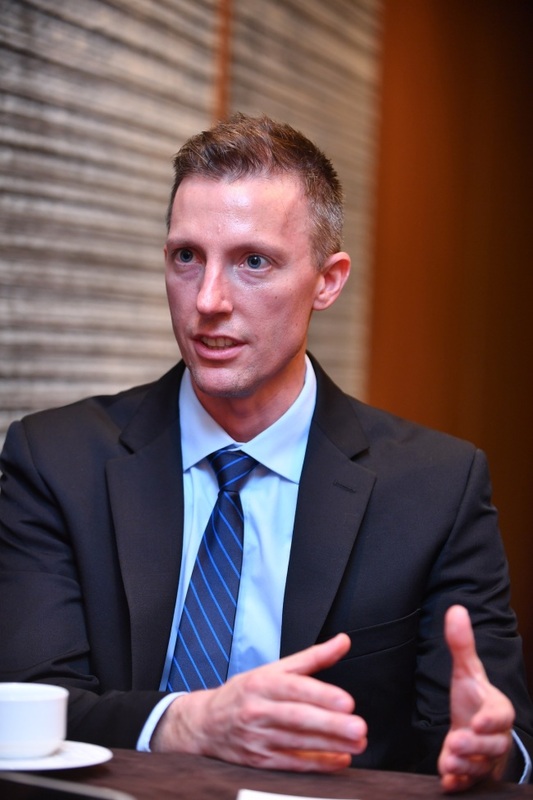 That is why designing and managing traceability systems are critical for producers of not only food but other categories of consumable products, according to Sam Kilgore, Nutrilite quality engineering manager. “For dietary supplement products, critical ingredients are botanical ingredients. A lot of manufacturers, in terms of controlling their supply chain, will just buy botanical ingredients from raw material suppliers. For Nutrilite, however, we consider our botanical ingredients to be our most critical element of the product, and by that we establish the promise and the message of the brand -- ‘seed to product,’” Kilgore told The Korea Herald in a recent interview. Nutrilite is an 80-year-old vitamins and dietary supplements brand under the US health-to-beauty company Amway. It entered the Korean market in 1991. Based on a “seed to supplement” practice to preserve quality and maximize the consistency, efficacy and safety of its products, Nutrilite manufactures health supplements by observing the connection between health and a diet rich in fruits and vegetables. 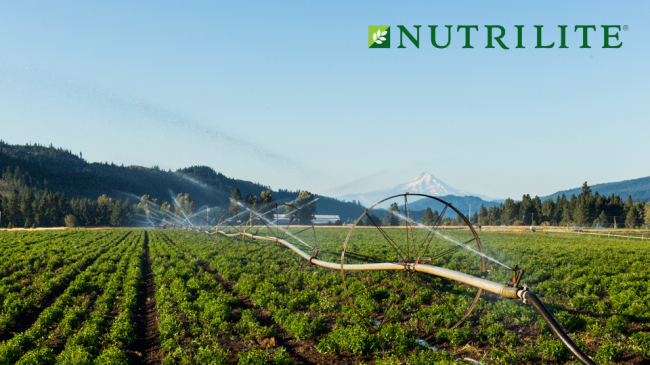 According to Kilgore, Nutrilite’s botanical supply chain is vertically integrated. The company owns farms in the US, Mexico and Brazil, where everything is grown, harvested and processed on-site. Nutrilite currently operates two manufacturing facilities in Michigan, two in California, one in Washington, one in Vietnam and one in India. According to Euromonitor International, the brand is the only global vitamin and mineral brand that grows, harvests and processes plants on its own certified organic farms, located in the United States, Mexico and Brazil. In 2015, the company injected $42 million to build manufacturing and R&D components at the California center. It also owns the $13 million Amway Botanical Research Center in Wuxi, China, where its researchers mainly study plants associated with traditional Chinese medicine at the site for potential use in its health products. With expertise in product quality assurance and food science, Kilgore said businesses must be supported by an adequately designed and documented traceability system to prove such claims to regulators and consumers. “For anything we can’t grow, we have a very strict qualification requirement for outside suppliers. From a traceability standpoint, we start documenting our activities even before the implementation phase -- when a researcher studies what botanicals are out there that can benefit humanity,” said Kilgore. “We have researchers that get botanical samples all over the world and study them to see if they have beneficial effects and whether they are promising to become a product. We currently have a library of over 1,300 botanicals with phytonutrient fingerprints,” he said. Providing customers with an understanding of traceability through a well-designed program is another of Nutrilite’s missions, Kilgore said. “We see in the food industry that the concept of traceability has (become) more and more settled but in terms of supplements, there needs to be more education to inform consumers. Food safety is a basic requirement,” he said. “It’s actually very complicated. Unlike Vitamin C, one of our produce, Double X, contains over 20 functional botanicals in that formula, so to put together the traceability is actually very complicated,” he added. To help Korean customers understand where their products come from, Nutrilite will launch a mobile website here in December with photos and videos that show where Nutrilite products are made. Additional records will also be regularly available through the website. “Why not care? (You need to care) not only about where it comes from, (but) how it’s made and who made it,” said Kilgore.